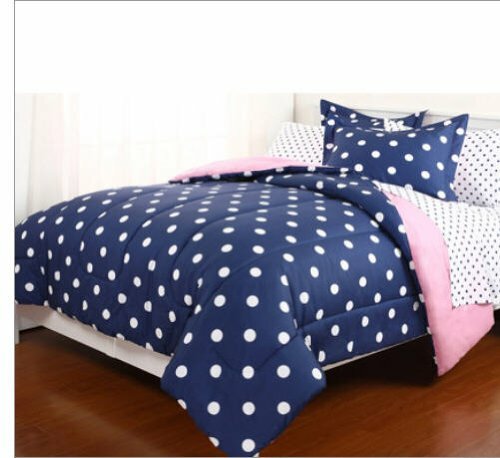 Girls' polka dot bedding sets like these can make for an amazing focal point, transforming a bland bedroom something spectacular in an instant. Polka dots are such a happy way to enliven any girl's space; so, it's only natural these fun spots will really vamp up a bedroom's vibe with their highly-visual impression. Add some fun accessories and you'll have one cute-to-funky polka dot bedroom any girl or teen will relish. 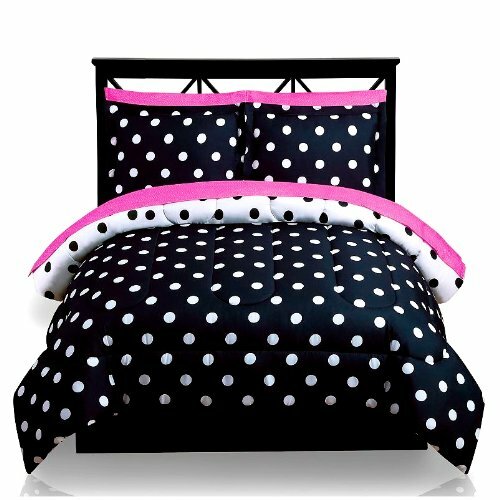 Scroll down for a look at polka dot comforter and bedding sets for girls and other fun bedding sporting those playful dots. These bed sets, along with a few budget-friendly and DIY decorating projects and tips will get the wheels in motion for a successful polka dot themed finish you'll both love. Let's get started building that bedroom space! Like almost any decor decision, there's a choice of any given design's size and polka dots on bedding are no exception, as they betray to different personalities. Color also plays into your space, as darker hues in darker spaces can depress the whole vibe in your girl's bedroom and that's not at all the restful, relaxing ambiance you aim to achieve, I'm sure. Small polka dots, also referred to as micro dots played up against a white or lighter background like this purple polka dot comforter set, here are ideal for darker bedrooms with little or no natural lighting. White serves as a reflector, bouncing light about your girl's bedroom space, making for a much happier vibe. Start with a bedding set like this happier lavender polka dot on white quilt set and you're off to a great start in your low-light space. 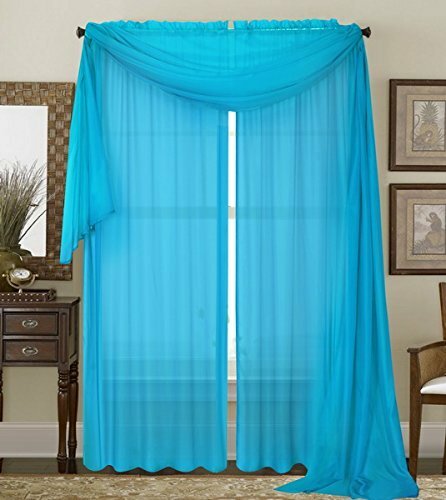 To keep you darker space brighter, consider going for sheer panels as window treatments. You'll get a measure of privacy while keeping the light streaming in. What's your girl's favorite color polka dot? Pink, purple, black, white, blue--it's any polka dot for my girl! Deciding on Design: Large Polka Dots or Micro Dots? Just as we might appreciate micro dots (small polka dot patterns) for their sweet, quiet impression, they won't do where drama is expected; so it's best to opt for large polka dots like this purple bedding with large white polka dotted duvet set features. The large white design is ideal for conveying to other areas of your girl's bedroom. It's here where you can incorporate a round white accent rug in flokati, a plush girly texture your tween or teen will love. 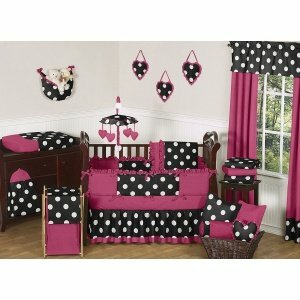 Big polka dots are a fun way to introduce drama into your growing girl or teen's space. 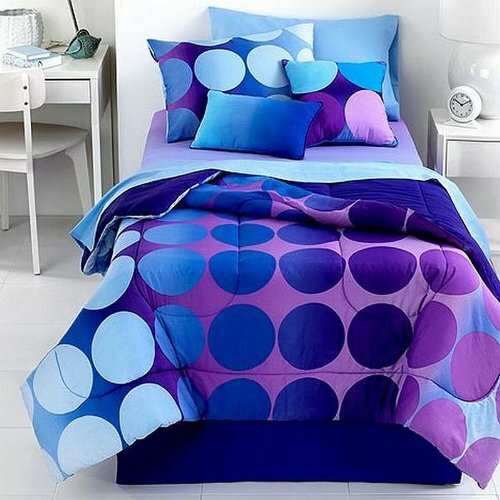 This deep purple and blue polka dot comforter set is high-energy, indeed. 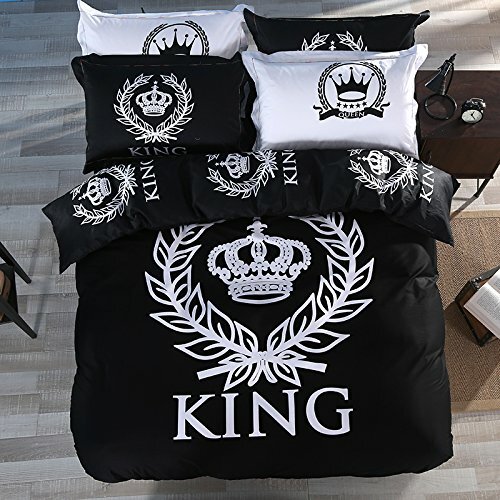 It's quite the opposite of the quiet bed sets above and will certainly be the room's attention-grabber. Purple has the 'power' to soothe (as with the comforters above) or supercharge any space lacking in luster with its majestic hues. With just a few shade differences, you can dramatically alter a bedroom's vibe, its energy. Consider how hip --or not-- you want your girl's room to be and proceed accordingly with your purple bedding. 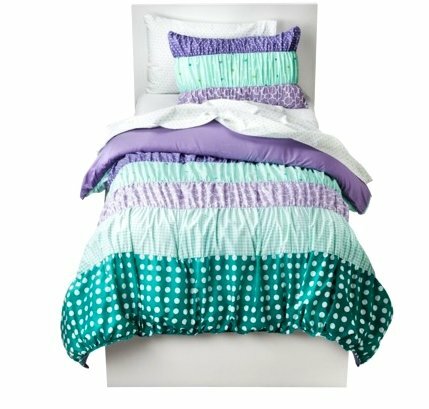 This deeper, mystical purple polka dot bed set is ideal for tween and teen girls' bedrooms. When decorating bedrooms, especially for kids, it's a good idea to consider your girl's disposition. Is she able to readily unwind after a full day? If your answer is "no," you may want to consider bedding with pastel colors versus their more exciting, primary cousins. Color has a bigger influence over our mood, behavior and activity level than most of us realize. Loud colors really do energize us. Ever wonder why many fast food restaurants boast yellows and reds as their signature hues? The colors are purposefully chosen to keep us moving. Now, think of how those colors might affect our otherwise, fully-charged girl come nightfall and I'd venture to say loud colors might keep her from settling in or concentrating if she's apt to do homework in her bedroom. Opting for pastel polka dot bedding like these comforter sets will serve you well as both focal point and soother, softening mood and activity levels. Polka dots have an eye-catching appeal by their own design, so you won't need vibrancy, here. These purple and lavender bed sets have the power to turn up the room's vibe while adding to a more restful abode. Fun DIY Lighting Tip: For a quick solution to a lighting source, you might opt for large white paper lanterns that would make fabulous, uber-cheap lighting; all you need do is add a hanging light kit (for about $7-$10). Opt for three all white or a mix of white and lavender lanterns and hang at different lengths for drama. Note how the model room here, plays off the circle. The polka dot black and white comforter set is the spaces focal point, it's true but the hot pink accents save the space from being foreboding and not the fun space you're after. The round hot pink rug is a good play off the polka dot's circular design and the wall art is primarily round mirrors, so it's clear that circles are the predominant shape. This black and white polka dot bedding is a great pick for tween to teen girls, as they're at that age where drama is a must--in everything, so it's no surprise they'll appreciate black more than we adults would like. Go ahead and humor them but balance the space with fun, happy hues and strong patterns. Trust me, you'll both be happy--unless they insist on black walls. If you're not up to painting or bathing walls in cool colors isn't an option and you're stuck with white walls, it's black and white polka dot bedding sets to the rescue. Strong designs and patterns like the uber-large polka dots in the comforter sets above, have a loud, 'look at me' voice, making them ideal for boring, wan walls. Don't be afraid to pair them up with hot pink, lime green or electric yellow if color is what you're after. But they are definitely one polka dot bedding set that can suffice all by its lonesome for a modern, conservative color palette. I'm lovin' the fun with these colorful polka dot bedding sets, don't you? Just as you love these friendly and wildly fun polka dots, they can quickly become the bane of your existence if you let them run amok in every nook and cranny of your girl's bedroom. Ideally, you want your bedding to steal the show, capturing and keeping the eye on its splendor for just a bit longer than a glance. Too many similar, 'matchy-match' pieces and you'll take away the bedding set's energy with every polka dot piece you add. This arrangement quickly becomes a game of "Spot How Many Polka Dot Doodads There Are." Try to envision the same bed set without the accessories flanking the bed and you'll get an idea of how 'strong' the focal piece can be. Corral the dots or you'll have a cluttered busy look that rivals wayward socks--not at all the peaceful abode you're aiming for. Indeed, with polka dots, less is more. Decorating isn't fun for everyone and while I can't relate to that notion, if you're one that has 'better' things to do, it's bedding sets like this pink and white polka dot comforter set like this one that has a long lifespan. 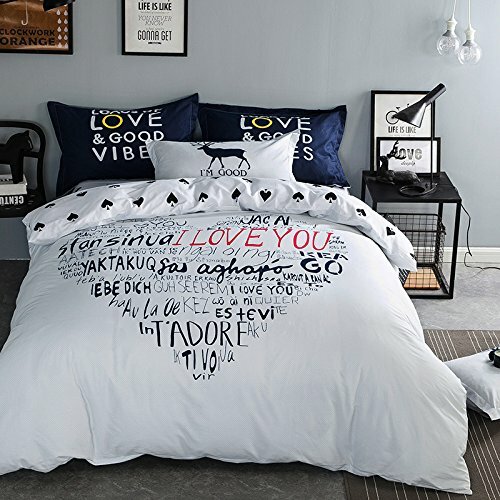 When bedding is intended to be a part of your girl's bedroom for quote a while, you'll need to change out to age-appropriate wall art and the occasional accessory, lest your girl start a relationship with the family's PC printer. Posters make a great budget-friendly choice for wall art. Buy standard sized posters and frames in size 36" x 24," this way, you won't have to ditch the frame when a new poster is purchased; just pop the old out and in with the new. Easy-peasy. Some designs can be suggestive of polka dots without being the 'true-blue' spots. As with this bedding set, the sweet floral design looks much like polka dots. The result is a softer 'spot' and may be a better choice for little girls who favor a more girly-girl look. And pink is such a popular color with younger girls, too. If you're not decor savvy, pink is a great choice, as it's easy to work with and allows for you to pile on the pink without it looking gaudy and as though your walls are suffering under the weight of pink overload. While this girls' almost polka dot bedding set is a fabulous alternative to the sharper polka dot outlines, it's a prime example of how thinking outside the box when decorating can yield great results. 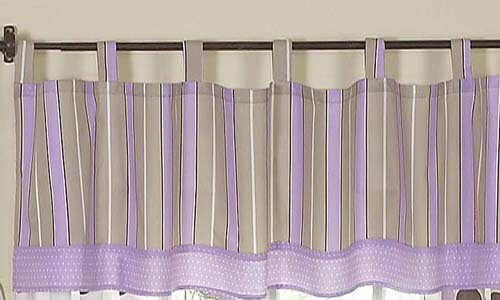 I suggest going for softer window dressings of those white and pastel pink sheer panels i referenced earlier. 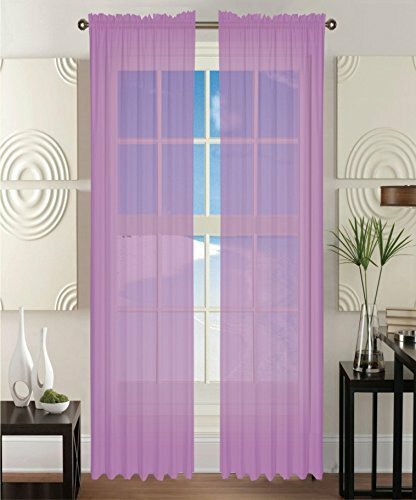 Frame your windows in one pink panel on the outside and a white panel next to in on the inside. Mirror the opposite side of the window; you'll have two pairs of panels per window but at their budget-friendly price, you won't be going overboard budget-wise. Often, it's the unexpected that truly inspires and delights! Seeing Spots or Dots: What's Your Favorite Color Polka Dot?